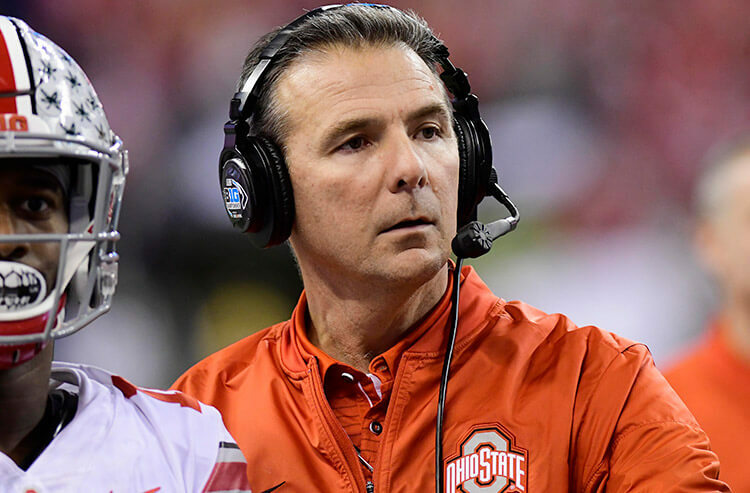 On Wednesday morning, as the situation surrounding Ohio State football coach Urban Meyer began to get a little murky, the folks behind the counter at the Westgate Las Vegas Superbook certainly took notice. But they didn’t believe the ground would shift so dramatically by Wednesday afternoon. And although for now, Meyer still has a job, the Superbook had to react. Wisconsin is actually the second choice in the Big Ten, at +250. Ohio State has practically a walkover in Week 1, hosting Oregon State on Sept. 1. But the Superbook had to make a shift there, as well, knocking the line down 3.5 points from 39 to 35.5. At William Hill US, season win total and the Week 1 Oregon State contest came off the board, and director of trading Nick Bogdanovich said there will be adjustments elsewhere if Meyer ends up resigning or getting fired. But he’d like the Buckeyes to be around come College Football Playoff time. “We do real well with them on national championship futures,” Bogdanovich said, before addressing potential the Buckeyes’ title odds if Meyer departs. “They’re at 6/1. Just because we do well on them, I’d go up. It definitely means something, so I’d probably go to 8/1. For the Big Ten championship, I’d raise Ohio State from even money to +130, and lower Wisconsin, Michigan and Penn State. Should Ohio State and Meyer part ways, Bogdanovich said he’d still leave the season win total at 10.5, though he’d adjust the juice from Over -130 to the flat -110. 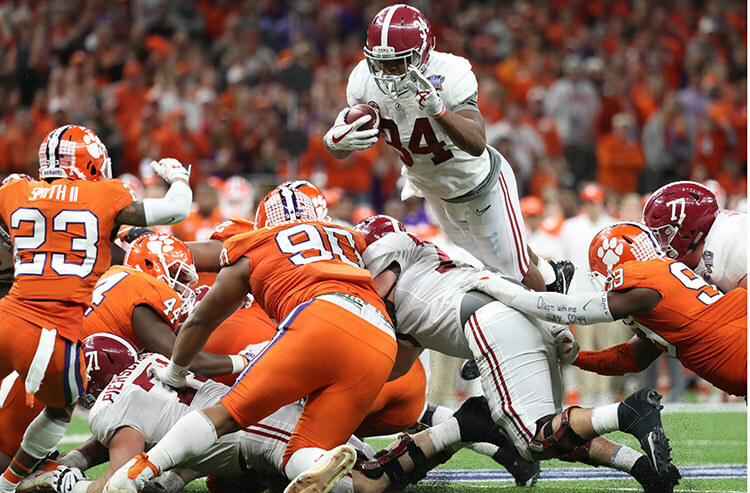 MGM Resorts sportsbooks up and down Las Vegas Boulevard, and now at the Borgata in Atlantic City and two locations in sports-betting newcomer Mississippi, also took down Ohio State’s season win total and Week 1 game. 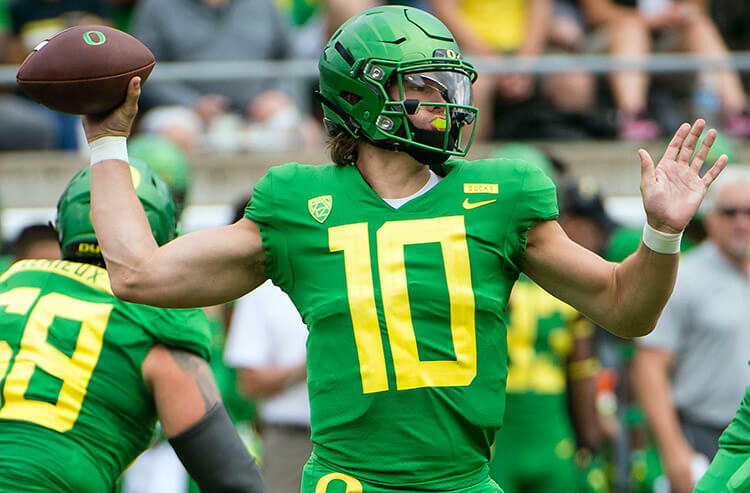 Jeff Stoneback, MGM books’ director of trading, said some modest adjustments were made to the Big Ten title odds, though Ohio State remains the favorite at +120. 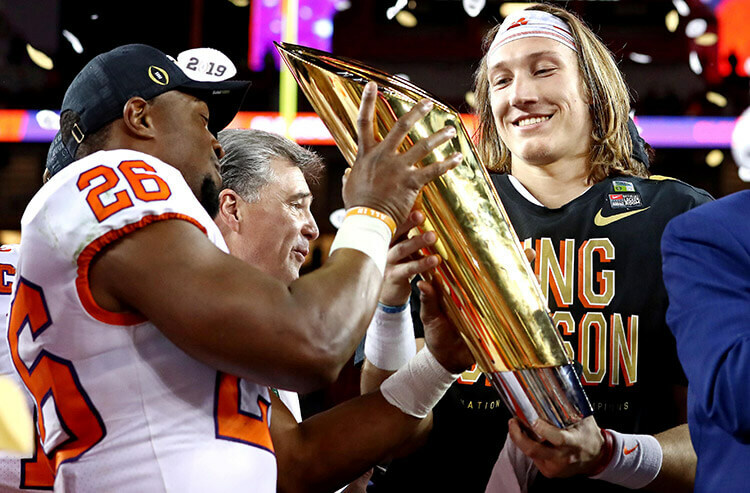 Stoneback said MGM made no adjustments to the national championship odds, keeping the Buckeyes as the co-third choice at +500 along with Georgia, trailing only Alabama (+250) and Clemson (+450). But as Murray reminded, regardless of what happens with Meyer, the Buckeyes have a loaded roster.